DoubleNature offers you the best of both worlds. 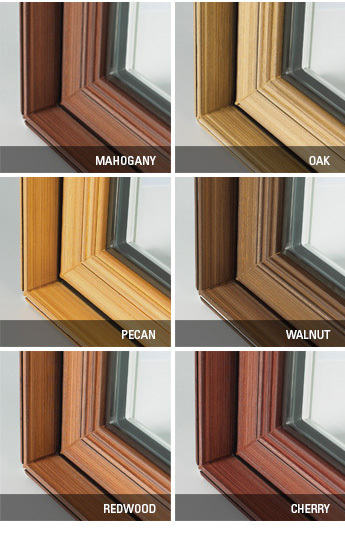 The natural warmth of wood with the maintenance-free performance of vinyl. With a finish that can be applied both inside and out, DoubleNature products provide the most realistic wood finish in the PVC industry. Available in six distinct water-based, UV-resistant stain colours to complement existing woodwork or blend perfectly with your unique architecture. 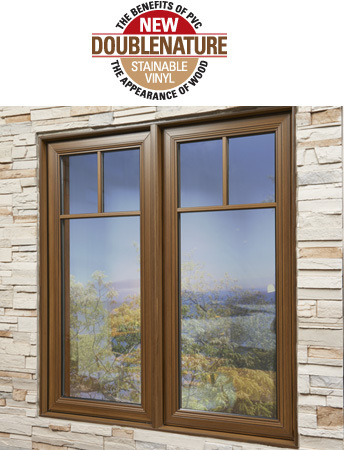 DoubleNature is available for all our 4000 Series window, patio door and terrace door styles.